The Foundation for Accountability and Civic Trust (FACT), a non-partisan ethics watchdog group, filed a complaint with the Senate Select Committee on Ethics on Monday against Sen. Kirsten Gillibrand (D-NY). At issue is the senator's using "footage of herself on the House floor during the President’s State of the Union address to improperly solicit campaign donations," the group explained in a new statement. She later removed the tweet. But, as FACT notes, that doesn't exonerate her. “While it appears Senator Gillibrand has removed the fundraising tweet, it does not excuse her blatant disregard for the law. These laws exist to ensure that the work of Congress on behalf of the America people, and the resources used to carry out that work, cannot be exploited for political gain,” Arnold added. 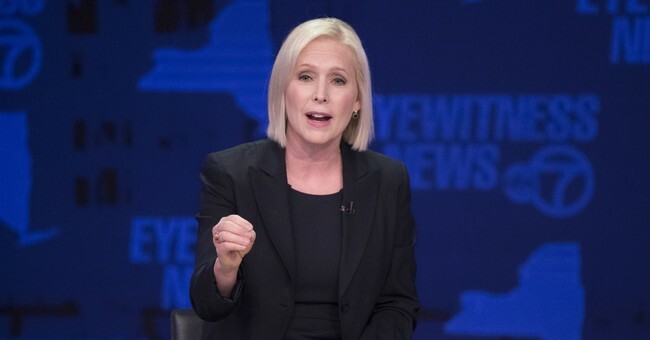 Gillibrand is included in the batch of Democrats who recently threw their hat in the 2020 presidential ring.